The Clerics of St. Viator was founded in Vourles, France in the nineteenth century during the years following the French Revolution. It was a time of political upheaval and social unrest. Christian education, especially in the rural areas, was woefully neglected. It was within this context that Fr. 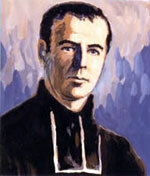 Louis Querbes (1793-1859) founded the congregation. Realizing the need to provide education for youth, Fr. Querbes’ vision was to send religious brothers and lay catechists of deep faith and competent learning to parish schools in the countryside. 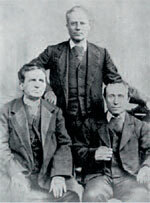 In addition, these men assisted country pastors in their parishes. Episcopal approval of the congregation for vowed members only was granted on November 3, 1831 followed by papal approval on September 21, 1838. Canonical regulations prevented the inclusion of the lay catechists by Rome. 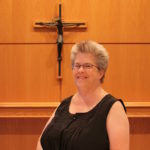 In 1978, the congregation gave new life to the “lay catechists” that Fr. Querbes had imagined and accepted lay men and women associates who would commit themselves to participate in the charism of the congregation. In 1999, the first associates of the Province of Chicago were welcomed.